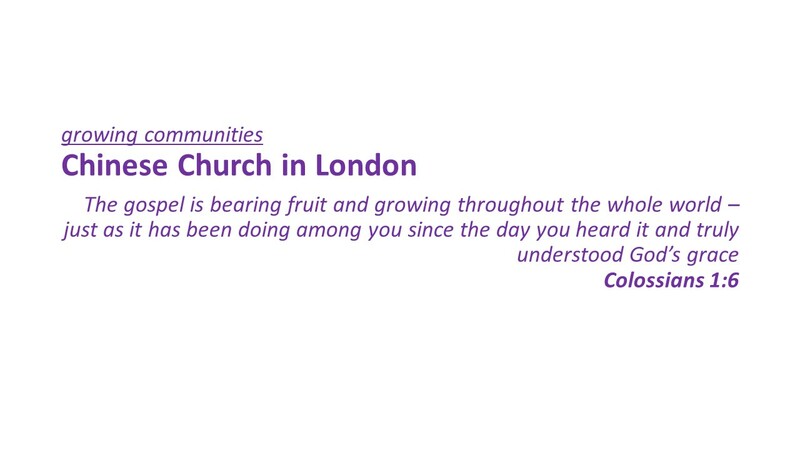 The outreach history of Chinese Church in London (CCiL) goes back to the time Pastor Stephen Wang founded the church when the outreach activities were localised and run by individual congregations. In 2005, the purchase and establishment of the Soho Outreach Centre (SOC) near the London Chinatown led to the birth of the Outreach Action Team (OAT), with the purposes of pooling resources amongst congregations as well as making good use of the SOC and putting outreach into action. As CCiL develops into a centre-based church, the OAT ministry is also growing into a church-wide ministry and aims to develop and coordinate the outreach initiatives of the whole church. OAT sees their outreach work as a means to transform the communities. Supporting evangelistic activities based at our church centres or communities within M25, aiming to bring people to church. Representing our church to take part in the multi-churches evangelistic activities within M25. Organising training on outreach skills for evangelism. Promoting collaboration and co-ordination on evangelistic activities initiated by individual congregations.